The Dr. Pepper Syrup Plant began out of a desire by Birmingham’s Industrial Development Board to bring more industry to the Magic City. The days of the Great Depression hit Birmingham hard, and Board members thought bringing a Dr. Pepper syrup plant to the city would help diversify and boost the local economy. 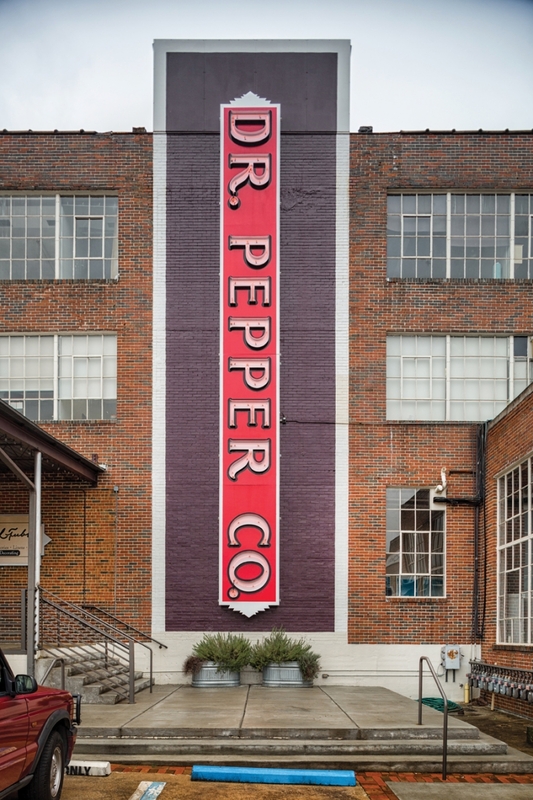 In 1931, the Dr. Pepper Company officially opened the Birmingham plant—located at the opposite end of the block from the local bottling plant—making it the company’s second syrup-manufacturing site and its only syrup plant east of the Mississippi River. Operations were discontinued in 1982. In 1988, Sloss Real Estate purchased the building and created Pepper Place, Birmingham’s first urban redevelopment project that now spreads across six city blocks. 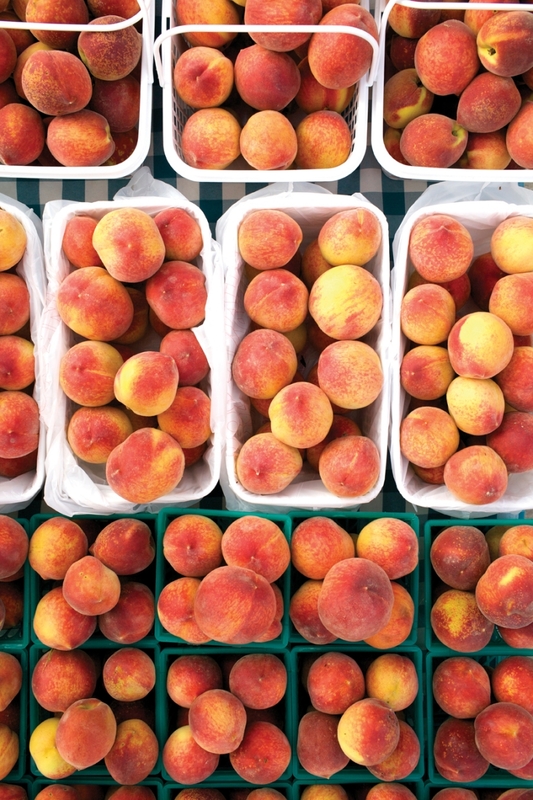 It’s peak season for Birmingham farmers’ markets. 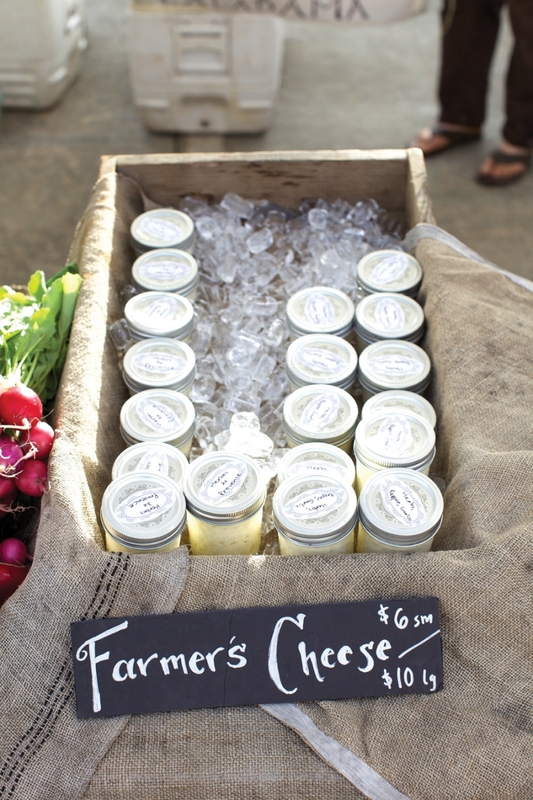 When it comes to locally-grown produce from across the state, Alabama artisans, live music, and homemade foods, the city has plenty to offer. The Market at Pepper Place hosts around 120 vendors every Saturday. New for 2016! 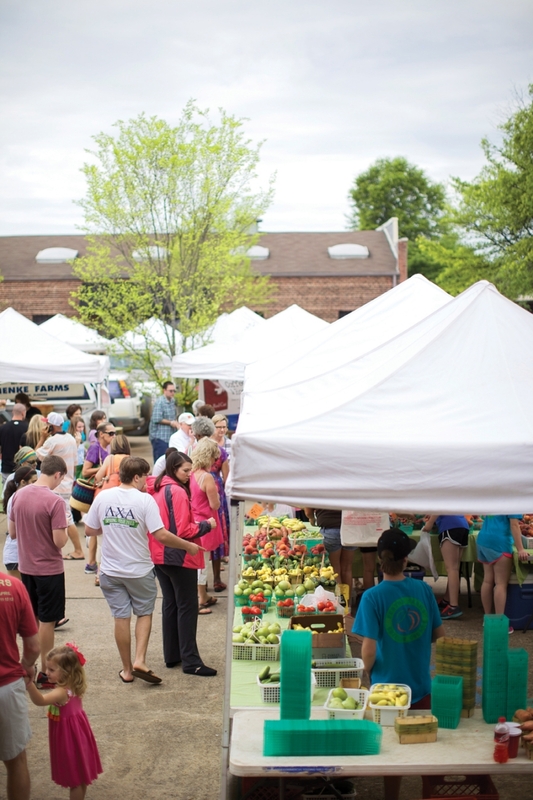 The Maker’s Village: Pepper Place led the way in urban redevelopment and farmers’ markets. 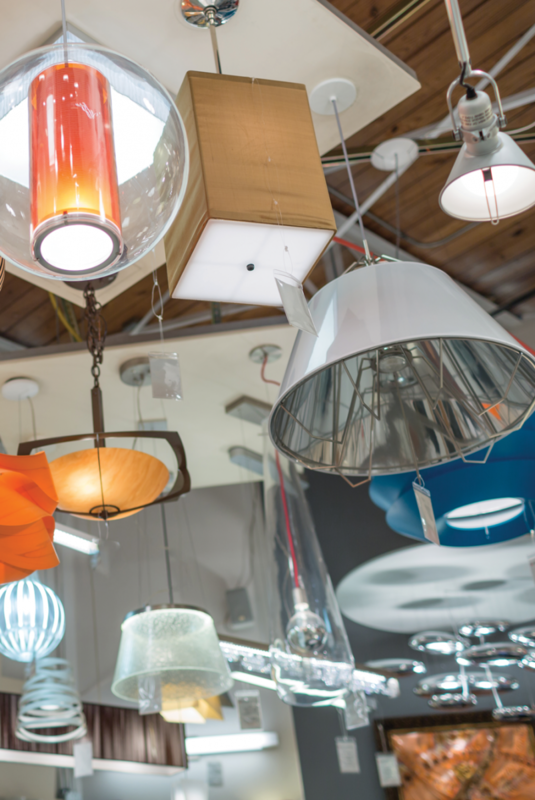 Now, it’s leading the way in the movement to celebrate craftsmanship with The Maker’s Village, a new event dedicated to Alabama artisans and crafters, shining the spotlight on the work of some of the state’s most talented craftspeople. 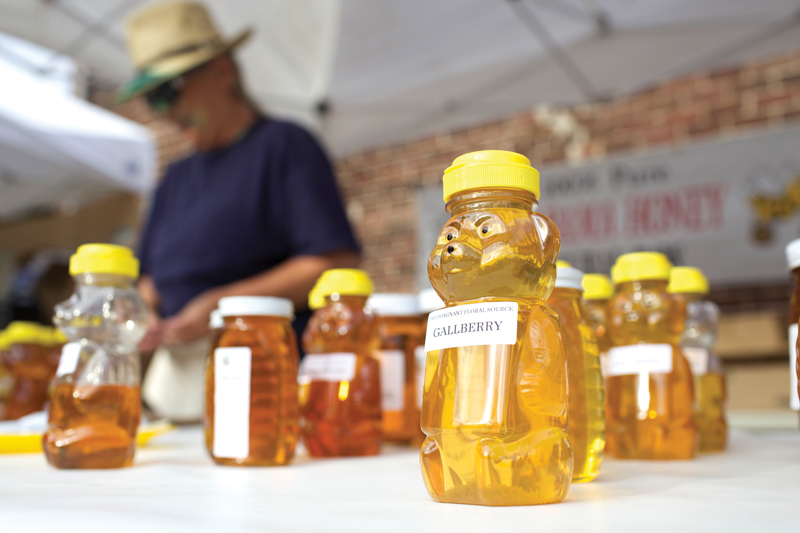 The event will take place during the farmers’ market each week from June 4-September 3. BETTOLA The locals’ favorite for fresh Italian salads, thin-crust pizzas, sandwiches, and savory entrées like flat-iron steaks and pasta Bolognese. 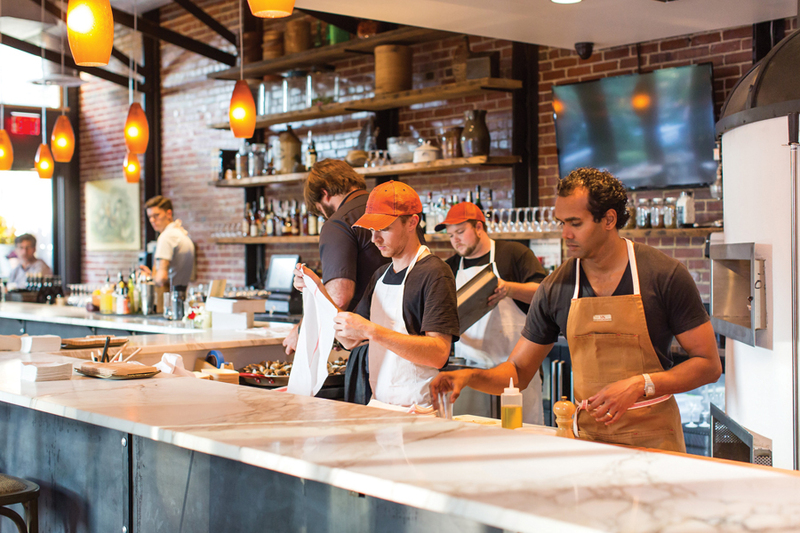 Chef James Lewis’s house-cured meats are only rivaled by Bettola’s highly-acclaimed bar program and thoughtful wine selection. THE RED CAT COFFEE HOUSE Snaps to this local coffee joint featuring lattes, cappuccinos, hot chocolate, beer, and wine. A brief menu of omelets, Greek yogurt, paninis, salads, and wraps means you can fuel up with more than just caffeine. OVENBIRD This casual restaurant from James Beard Award-winning chef Chris Hastings offers small plates and a well-considered wine list. Hastings and his team cook all food by wood alone (via live fire, ash, and indirect heat). The restaurant shares outdoor space with Charlie Thigpen’s Garden Gallery. Restaurant décor heralds from local sources: the Chelsea Antique Mall, The Concrete Farmer, and Southern Accents Architectural Antiques in Cullman, as well as graphic design work from Elise Jones.